Why You Should Choose Broadbeach Apartments. There’s nothing like a few days of chilly winter weather to make us start thinking about a spring break or summer vacation. And if you’re not sure where to go, why not give beautiful Broadbeach on the Gold Coast a try. Many people who previously avoided the Gold Coast, thinking it was all the glitz and glitter of Surfers Paradise, have changed their minds after staying at Broadbeach apartments. 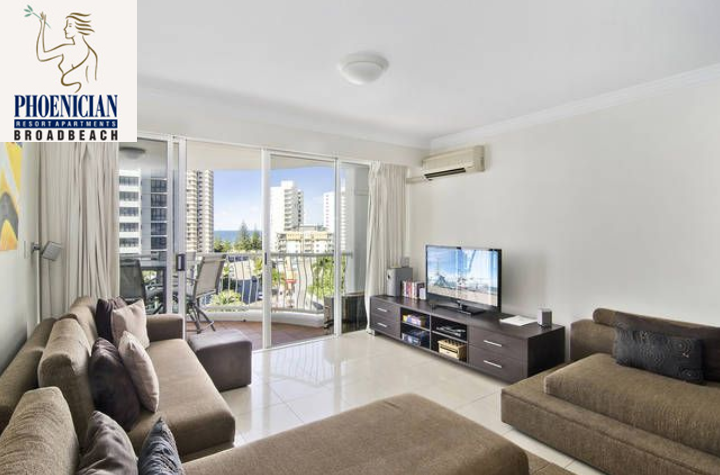 You see, Broadbeach accommodation is quite different to Surfers Paradise, while still offering the close proximity to everything the Gold Coast has to offer. Once a quiet seaside village, Broadbeach has matured, but still manages to retain that same charm, with beautiful old beach houses rubbing shoulders with glamorous resorts. 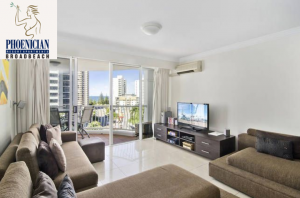 Located south of Surfers Paradise, Broadbeach comprises two distinct areas. Beachside Broadbeach is where most of the resorts are located, along with funky wine bars and restaurants, shops and the dazzling beach. Broadbeach Mall is lots of fun, with its roving street entertainers and alfresco eateries, while the gorgeous park is a central point, with its outdoor yoga classes and colourful Sunday markets. Head across the highway and the razzle and dazzle of Jupiter’s Casino awaits, with four excellent restaurants and world-class entertainment, all within easy reach of your Broadbeach accommodation. The adjacent Broadbeach Waters offers a peaceful network of canals, scenic walks and bike paths, with plenty of great picnic spots, as well as the wonderful Cascade Gardens, with its water bird sanctuary, rainforest, creek and waterfalls. Just a short distance from the Broadbeach apartments, this area is perfect for getting up close with the local wildlife, or enjoying a relaxing kayak trip. Broadbeach is home to some great annual events, too, so check what’s coming up before you book. For example, Blues on Broadbeach is now the biggest free music festival in Australia, and takes place every May. Broadbeach apartments are a great base from which to explore and enjoy everything the Gold Coast has to offer, from its famous theme parks and surf beaches to the peaceful, lush hinterland. There are some great resorts to choose from, including The Wave Resort, The Phoenician Resort, Pacific Resort Broadbeach and Freshwater Point. I generally find that a fully equipped, self-contained resort apartment best suits my needs, giving me the freedom to come and go as I please, and the peace and privacy of my own space. Broadbeach accommodation is perfect for foodies, as it’s so close to the famous restaurant strip, where you can enjoy just about every type of cuisine and not worry about driving. And with Broadbeach apartments so close to the ocean, there’s no excuse not to enjoy a stroll along the sand at sunset, or even an early morning jog. Broadbeach accommodation delivers that great mix of affordability, sophistication, convenience and location – everything you need for a perfect weekend break or longer stay. This sensational seaside suburb has also managed to find the right balance between razzle dazzle and peaceful retreat. So why not choose a Broadbeach resort for your next getaway!